Eli Weiss, the founder of the Wildize Foundation http://www.wildize.org, is in Botswana, Africa through October 14 to observe the organization’s Conditioned Taste Aversion (CTA) field studies with captive lions on a private reserve there. Weiss, who arrived in Africa on September 12, has provided her first update about the trials on her blog now available at http://www.wildize.org. After the conclusion of the trials, details of the work will be reported in a peer-reviewed journal. 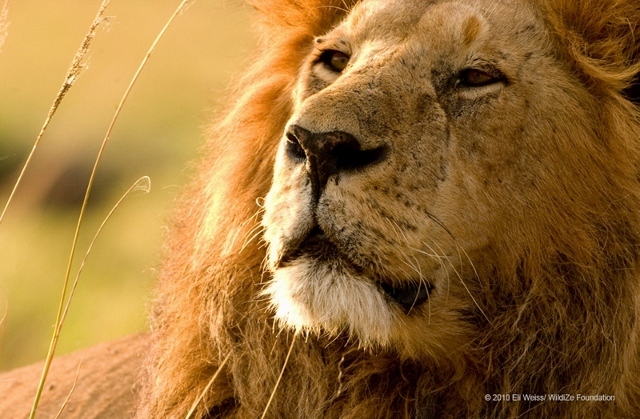 WildiZe, a not-for-profit organization dedicated to wildlife conservation, education and sustainable community development in sub-Saharan Africa, is funding the project to help solve human/lion conflicts and determine long-term viability. CTA creates an aversion to a target food source, in this case inducing lions to avoid cattle. It is estimated that lion populations have declined by 80 percent in the last 25 years throughout Africa with human/livestock conflict currently one of the primary causes of loss, threatening the species with extinction. In her first report, posted in its entirety on the organization’s web site, Weiss provided insight into how the trials are progressing. “The average routine has been to make bait packs in the morning, do the treatments in the evening at their regular feed time, let them recover from the TBZ, offer maintenance food, then offer the treated bait again. In addition to Weiss’ field reports, WildiZe Deputy Director Eric Vozick is also providing updates and insight into the program at the 10th Annual Wildlife Conservation Expo October 1 in San Francisco. At the core of its work, WildiZe grants funding for projects that support wildlife and environmental conservation efforts, educational programs and sustainable economies and cultures. The organization ensures 90 percent of contributions reach grantees who then have ownership, accountability and responsibility for their projects. Weiss’ trip to monitor the CTA trials is an example of how WildiZe directly connects donors with a variety of community and wildlife programs and ensures their contributions are used to the optimum advantage. Weiss regularly makes on-site visits to ensure donor contributions are directly impacting each project and to develop and foster long-term relationships on-the-ground locally in sub-Saharan Africa. Her hands-on approach also helps WildiZe collaborate with like-minded national and international organizations to better use the resources available. In essence, lions are offered untreated meat baits for the targeted livestock prey to be averted to. Once lions willingly consume target meat baits, they are offered baits consisting of a generally used pharmaceutical sufficient to induce the aversion effects. Once lions demonstrate full recovery from the effects they are post-tested with untreated meat baits and their regular food to determine if they meet the clinical criteria for having acquired an aversion to the taste and scent of the target prey. In addition to participating in the CTA trials, while in Africa Weiss is expecting to meet with grantees CARACAL Biodiversity and Environmental Education Center, and prospective projects including Dr. Glyn Maude, Denver Zoo researcher, Makgadikgadi, Brown Hyena Project who is also assisting with CTA; Dr. Tico McNutt, founder and director of Botswana Predator Conservation Trust; and Kelly Stoner, Fulbright Scholar researching lion/livestock compensation schemes. WildiZe Foundation is a Colorado registered 501(c)3 organization dedicated to wildlife conservation, education and sustainable community development in sub-Saharan Africa. Over the last 10 years, WildiZe has supported more than 75 on-the-ground projects in Africa including various projects across the Tsavo National Park Ecosystem, Kenya; CARACAL, Botswana; GAWPT, Tanzania; and Communities of the Northern Frontier District (Kenya) and Caprivi Carnivore Project, Namibia. The foundation directly connects donors with a variety of community and wildlife programs and ensures contributions are used to the optimum advantage. WildiZe is entering its second decade with a revitalized platform and vision to positively affect change in African conservation practices through small investments in the best resources placed in the right hands. Ninety percent of public and private contributions reach grantees, who have ownership, accountability and responsibility of their projects. For more information please visit http://www.wildize.org. "Silence"From WildiZe founder Eli Weiss' collection "Male Lion (Panthera Leo), Maasai Mara, Kenya, original image © 2010- Eli Weiss/ WildiZe Foundation." 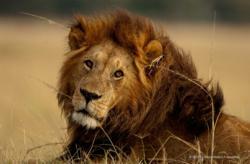 Offered as a signed 8 x 12 photo for $250 donation to save the lions.